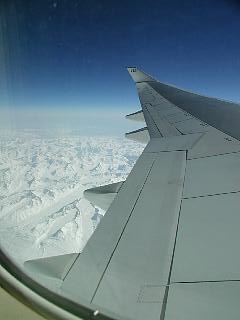 I found out about the trip to Japan about 2 weeks before departure. Japan has always been on my list of must-see places, but a for a combination of rea$on$, I never made the trip. Generally, I've found it difficult to combine vacation with business travel, but for this one I was going to have to find a way. Our partner company in Tokyo (Hachiochi, actually - a suburb) had an interpreter named Mariko on-staff to facilitate our meetings. Having done some breakneck research, I sent her an email telling her I intended to extend my stay by a few days and asking if she could assist me in finding a ryokan, which according to my tour books was the traditional Japanese equivalent to an American bed & breakfast, and which had the potential to be reasonably priced. A day or so later, I received an email from her saying something to the effect of "...if I were to book you into a ryokan, you'd be sleeping on the floor and eating Japanese food. Obviously, that's not what you want, so I booked you into a western hotel instead." Well, a few more emails straightened that out, and I was all set for the Komatsu Ryokan, in downtown Ueno, a place I'd never even heard of. But she'd faxed me a map showing how to get there from the Japan Rail station, so the whole thing seemed manageable... or at least possible. 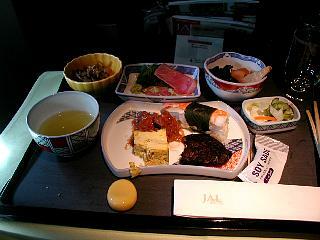 The big day rolled around quickly, and I found myself sitting in 31A of a JAL Boeing 747, heading west. The trip was a long one. Morning started for me at about at 7:00 AM in New York, so I would have enough time to get to JFK. In this direction we chase the sun, resulting in observed daylight for more than 24 hours. As advised in my copy of Overcoming Jet Lag. I tried to fake sleep until it was morning in Tokyo, and then fake waking up. Back when we'd boarded, I was given menus for both the American and Japanese meal. I indicated that I'd be skipping the meal, sleeping instead, until about 8:00 AM Tokyo time. I'm not sure whether I stumbled over miscommunication or policy; for at 8:00 AM, I was gently awakened by the flight attendant and asked if I was ready for the meal. Reluctantly, I decided it was time to wake up. I'd opted for the Japanese, which included green tea, tuna sushi, some sort of veggie dish (carrot, yam, seaweed), and a sweet-gravy meat. Then an entree of boiled fish fillet with more seaweed, and rice, provided with two small containers of what the flight attendant described as "garnishment". One so-so, the other interesting enough that I snagged the wrapper in the hopes of procuring a larger container if the opportunity presents itself. And even at 35,000 feet, presentation receives great attention; a hand towel was provided beforehand, each dish was artistically arranged, and a tiny ceramic chopstick rest was provided... though I don't know if the folks back in coach are faring quite as well. With about five hours of the flight to go, I reflect on the fact that the rest of my group had indicated to me there was s a tight connection with the bus to Hachoiji, and that I was kind of stupid to check my suitcase. They've threatened to go ahead without me, as the next bus is two hours later. But they're kidding... I think. We'll see how it plays out. A little clandestine fiddling with my tiny new Garmin Etrex Vista GPS purchased for this trip as well as some other... experiments has convinced me that this last-minute impulse really was a good idea. I placed it on a stack of pillows by the window and it acquired in about 30 seconds, showing our position over Alaska (confirmed with a peek out the window), speed (about 590 mph) and altitude (6000 feet - this being the cabin "altitude", measured by the unit's pressure altimeter. I suspect this gadget will prove to be incredibly handy for my wandering around Tokyo, and on future trips as well. And I can't wait to try it out on my bicycle when I return. Well, the line at customs was long enough to render the checked suitcase issue moot. Having missed the bus, we took the train instead, unfortunately winding up on a local instead of the express. 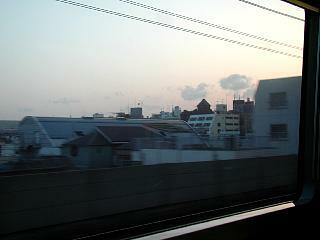 Tokyo, at least along the rail line (is this a fair way to judge?) looks like a heavily industrial city. 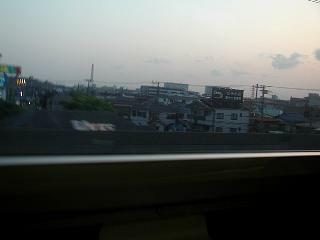 The train ride was about 2-1/2 hours, but eventually we made it to Hachioji, and our hotel. Keio Plaza is a typical upscale western businessman's hotel, with the usual amenities, plus some distinctly European ones, but pretty much devoid of anything obviously Japanese (except for the robe, slippers, and instant green tea (!) provided). Its adjacent to a shopping center attached to the railroad station, which should certainly be worth a visit. And of course, no visit to anywhere is complete without a tour of at least one supermarket. But at the moment, my biggest challenge has been staying awake, and as I need to win that challenge tomorrow, I'm opting for sleep now.